A teenager has been arrested following an incident at a Grangemouth store yesterday. The 17-year-old male has been charged following the alleged robbery at the Bowhouse Mini Market, Bowhouse Square, around 2.35pm. 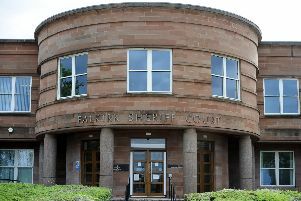 He is due to appear at Falkirk Sheriff Court on Monday, January 21.